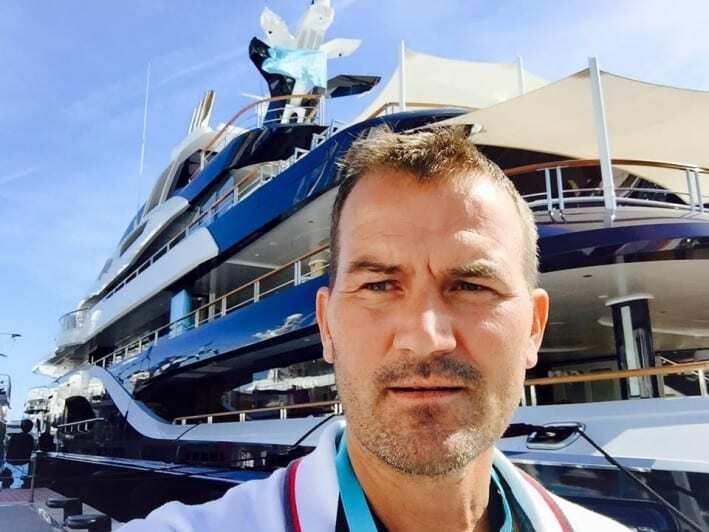 Stefan Katafai & MY DILBAR the world’s largest yacht, measured by volume! MY DILBAR the world’s largest yacht, measured by volume! Dilbar was the largest superyacht launch of 2015/6 and is the fourth largest yacht in the world by length. Lürssen also confirmed that she is the largest by gross tonnage, with a total interior volume of 15,917 gross tonnes. 30,000kw diesel electric power plant is a record for a superyacht and gives her a cruising speed of 22.5 noeuds. The 511.81ft Custom motor yacht motor yacht &#8216;Dilbar’ was built by Lurssen in Germany at their Lemwerder shipyard , she was delivered to her owner in 2016. The yacht&#8217;s interior has been designed by Andrew Winch. Her generous deck areas play host to a wide range of amenities including an outdoor bar and ample space for sunlounging and relaxing. Dilbar features a displacement steel hull and aluminium superstructure, with teak decks. She was built to Lloyds Register SOLAS (Sauvegarde de la vie humaine en mer) classification society rules. Dilbar features a displacement steel hull and aluminium superstructure, with teak decks.